• Hawaii has more than 12 million trans-Pacific air seats ready for travelers throughout the year, offered by air carriers flying from more than 45 domestic and international destinations. • Hawaii’s mid-Pacific location offers convenient travel times to and from the Americas, Asia and Oceania. • Year-round temperatures in the Islands average 78 degrees Fahrenheit in the winter and 85 degrees in the summer, meaning it’s always a good time of the year to host your event here. • Groups who have travelled to Hawaii report higher attendance and more engaged attendees. • Hawaii offers unique cultural and destination-specific activities found nowhere else, alongside programs enriched by its world-famous Aloha Spirit. 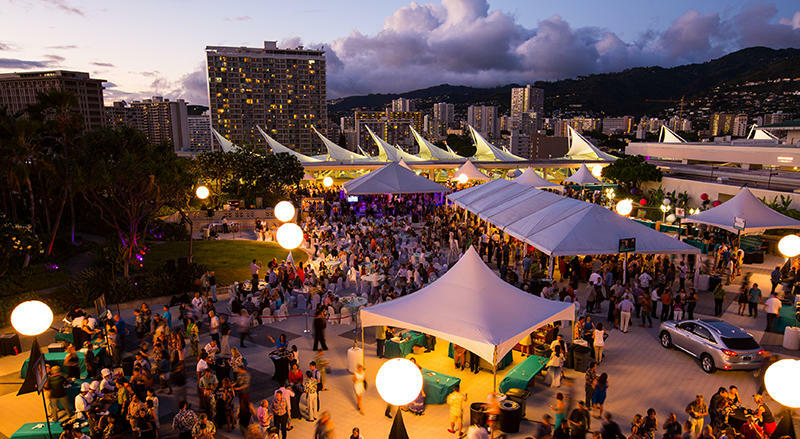 • Hawaii combines the feel and appeal of an international destination with the comforts of working in the U.S., meaning we speak the same language, share the same currency, and your attendees won’t need a passport to get here. • Many traveler surveys perennially list Hawaii as a bucket list destination for future travel. • You’ll have in Meet Hawaii a highly experienced sales team with ample insider knowledge helping you and your clients navigate the nuances of hosting meetings in a new destination market. The bottom line? There is no global destination and destination team more experienced at hosting meeting, convention or incentive groups than the Hawaiian Islands and Meet Hawaii. The Hawaiian Islands are six islands with one contact: Meet Hawaii. Exceptionally different from the other 49 states, Hawaii is a collection of eight islands, six of them visitable – Kauai, Oahu, Molokai, Lanai, Maui and the island of Hawaii – with individual experiences and personalities all their own. 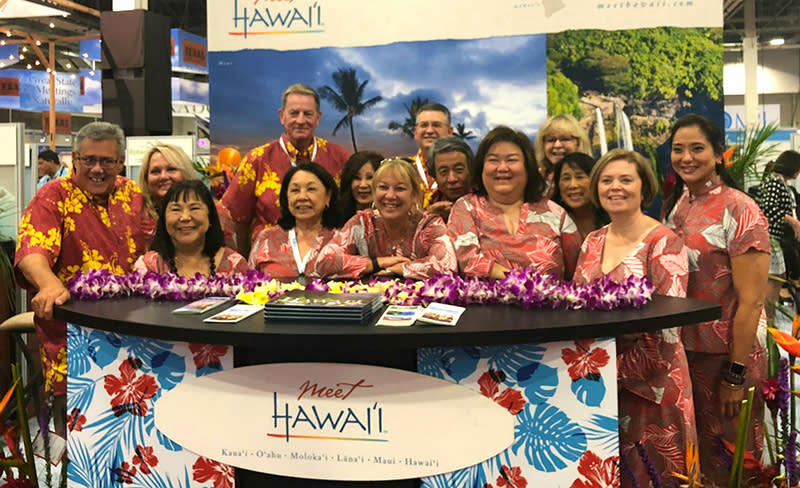 The Hawaii Tourism United States/Meet Hawaii team of experts is your best point of contact for achieving all of your event or group goals in the Islands, including hotel sourcing, marketing assistance and transportation updates. The reality is, incentive, education, medical, franchise and meeting groups consistently report a surge in interest and attendance when Hawaii is their destination. in the world with authentic, engaging experiences showcasing the Aloha Spirit while connecting to a fascinating historical tapestry unique to the Islands. Here are four ways to make sure your group experiences Hawaii beyond its sand and scenery. Tour iconic attractions sharing Hawaii’s rich Native Hawaiian and multicultural history. From Hawaii Volcanoes National Park on the island of Hawaii and Haleakala National Park on Maui, to Kalaupapa National Historical Park on Molokai and Iolani Palace on Oahu, encourage your group to spend time exploring these and other historically-rich places throughout the Islands to learn more about the people, events and cultures that shaped Hawaii’s history. At Hawaii Volcanoes National Park, guests are encouraged to hike the park’s lava tubes and miles of trails, explore its rainforests and volcanic craters, and, occasionally, even witness the rare wonder of lava flowing from Kilauea volcano into the Pacific Ocean. Hawaii Volcanoes National Park shares the stories of the Hawaiian fire goddess Pele and her continuing influence on Hawaiian culture and life in the Islands. On Maui, the 10,023-foot elevation volcano-summit and sea-level visitor centers of Haleakala National Park are excellent starting points for knowledge of the botanical, geological and human histories of their surrounding acreage, as well as hiking trails into their wonderfully diverse natural landscapes. Located on a breathtakingly scenic north Molokai peninsula, Kalaupapa National Historical Park preserves structures marking the area’s darker century-long history as a colony isolating Hawaii residents afflicted with Hansen’s Disease (leprosy). Established in 1866, Kalaupapa is one of Hawaii’s most isolated settlements. The park now shares the compelling stories of the afflicted once forced to reside there upon being exiled from society, as well as those of canonized Catholic priest Father Damien and religious sister Mother Marianne Cope who tended to Kalaupapa residents. On Oahu, Iolani Palace, the royal residence of Hawaii’s monarchy following its completion in 1879, is a structure of understated opulence, intriguing innovation and political intrigue. Showcasing the years when Hawaii monarchs King Kalakaua and his sister and successor Queen Liliuokalani resided in the palace, knowledgeable docents assure visitors continue to feel the presence of royalty as they guide tours through its celebrated rooms and share stories of its royal residents, visitors from around the world, and history in the overthrow of the Hawaiian monarchy. As hosts to a variety of unique cultural attractions and one-of-a-kind experiences, the islands of Hawaii offer countless amazing ways to craft a rewarding itinerary filled with cultural experiences without having to lose the conveniences of traveling within the United States. Be sure to check out our next newsletter for a feature on our valued Island Chapters! As you’re planning the details of your meeting or incentive group’s time in Hawaii, here are a few suggestions. Encourage attendees to try out activities brand new to them or suggest they take part in a unique adventure only possible in the Islands. Experience the food, arts and history of the multitude of cultures that call the Hawaiian Islands home. Participate in outdoor or indoor activities unique to each of the islands, their towns and their residents. Or simply recommend they seek out one (or more) of Hawaii’s many great festivals and events happening throughout the year. 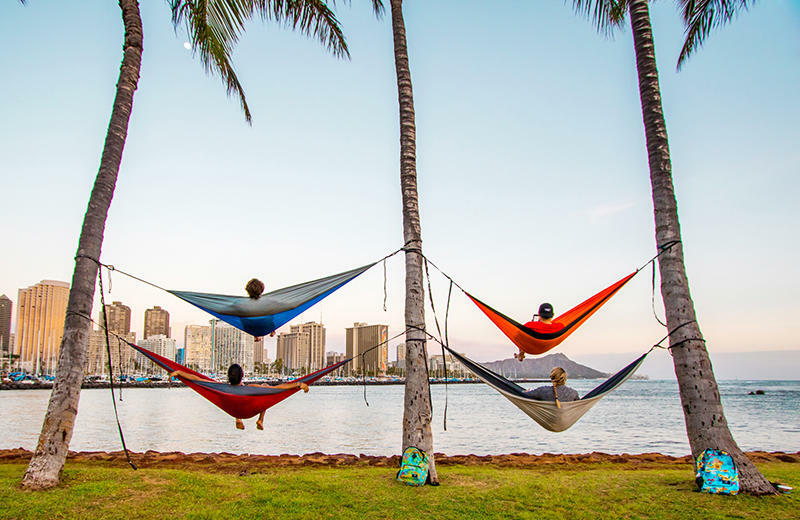 Below are a few suggestions your attendees will enjoy and assure they “come back better” – that is, return home rejuvenated and invigorated by everything they experienced in Hawaii. Prince Lot Hula Festival (July) – Named in honor of Lot Kupuaiwa, who reigned as Hawaii monarch Kamehameha V, this community festival at downtown Honolulu’s Iolani Palace brings together halau hula (hula schools) from communities throughout the Islands for two days of hula performances. The festival also includes Hawaiian cultural demonstrations, local foods, traditional games, lomilomi massages, and arts and crafts, including lauhala (pandanus leaf) weaving, and kapa (bark) and ipu (gourd drum) making. Aloha Festivals (September) – Annually celebrating the diverse traditions of Hawaii’s multiple cultures – and especially, the Islands’ indigenous Hawaiian culture – through music, dance, food, arts and history, Aloha Festivals is packed with pageantry, parades, concerts and family activities. Its biggest events include a multi-block Waikiki hoolaulea (celebration) and colorful floral parade. Koloa Plantation Days (July) – Held in the Kauai district where Hawaii’s first sugar plantation and mill were founded in 1835, Koloa Plantation Days offers a lively, family-oriented schedule of events celebrating the Koloa district’s rich agricultural history and the diverse multicultural traditions of its residents. The 10-day event features everything from sports contests and a town celebration day, to nature hikes, movies in the park, a rodeo and a parade through main street Koloa. East Maui Taro Festival (April) – This annual event in the east Maui community of Hana offers one of the single best places to taste a variety of ono (delicious) eats showcasing taro. Celebrating the multiple uses of the staple food source of the Native Hawaiian diet, as well the agricultural bounty of the island’s east side, the festival offers attendees opportunities to participate in taro-pounding demonstrations, learn all things taro-related, sample delicious locally-sourced dishes, and catch hula performances, live music and other cultural activities. Kona Coffee Cultural Festival (November) – One of Hawaii’s longest-running food festivals, this celebration of the coffee bean, farmers and roasters that made the southwest region of the island famous features 10 days of events spotlighting Kona’s typically bright, sweet and subtly fruity award-winning java. The fest schedule includes tastings, coffee plantation and mill tours, harvesting and cupping competitions, an evening lantern parade through Kailua-Kona town, recipe contests and food events, a half-marathon, art strolls, a Miss Kona Coffee scholarship pageant, and a daylong town ho‘olaule‘a filled with eats, arts and crafts, entertainment and, of course, even more Kona-grown-and-roasted coffees to sample. As hosts to a variety of unique cultural attractions and one-of-a-kind experiences, the Hawaiian Islands offer countless amazing ways to craft a rewarding itinerary filled with cultural experiences without having to lose the conveniences of traveling within the United States. Being in Hawaii reinvigorates the soul. Moreover, Hawaii&apos;s time-honored appeal as a dream destination makes it attractive for delegates to bring along family members and extend their time in the islands beyond the scheduled meeting. What does this do? It drives attendance.